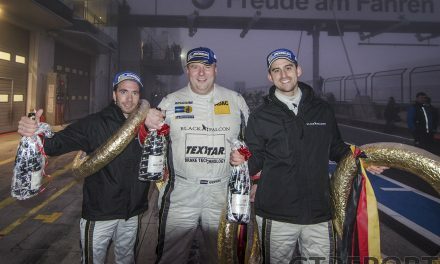 For the third year in a row Alex Müller is racing with Frikadelli Racing in the VLN championship at the Nürburgring. 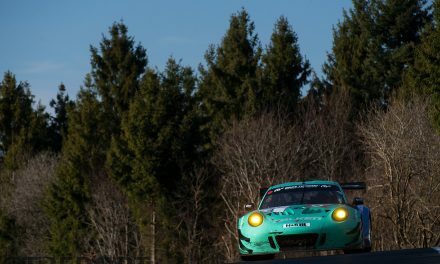 The 40-year-old German will compete alongside team-owner Klaus Abbelen and Sabine Schmitz in the number 30 Frikadelli Racing Porsche 991 GT3R. 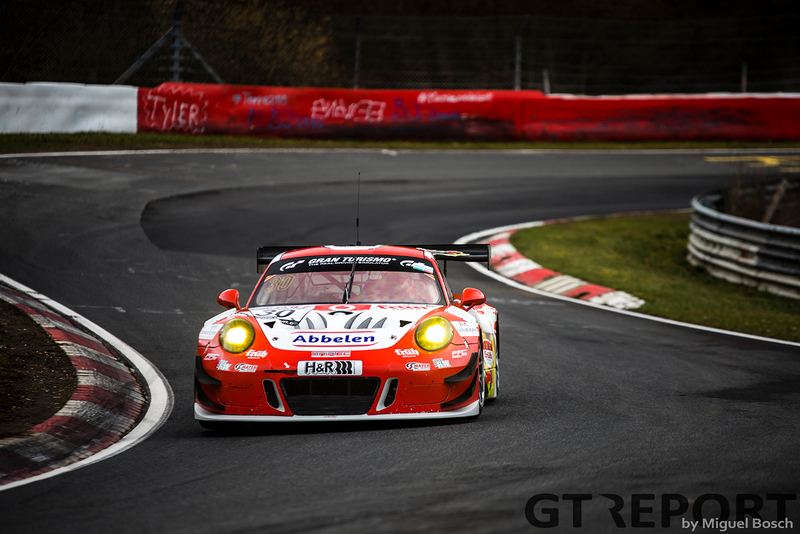 “I feel good being with Frikadelli,” Alex Müller says during the VLN pre-season test. 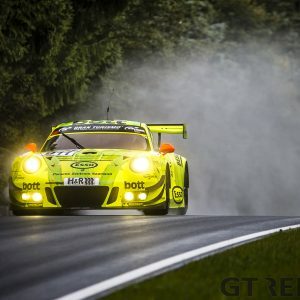 Despite the dreary weather conditions in the morning part of the test, Müller dared to go out onto the Nordschleife to get a first feel for the Porsche and the new tyres after the long winterbreak. 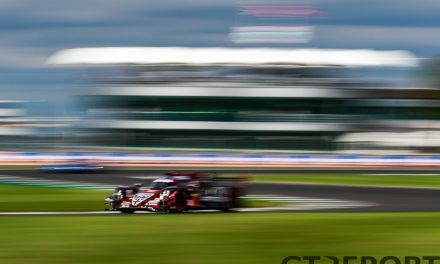 “The car feels OK. We started where we stopped last year. “We do have a new tyre manufacturer, Michelin. The rain tyre is different, which means we have to adapt the car a little bit to it. 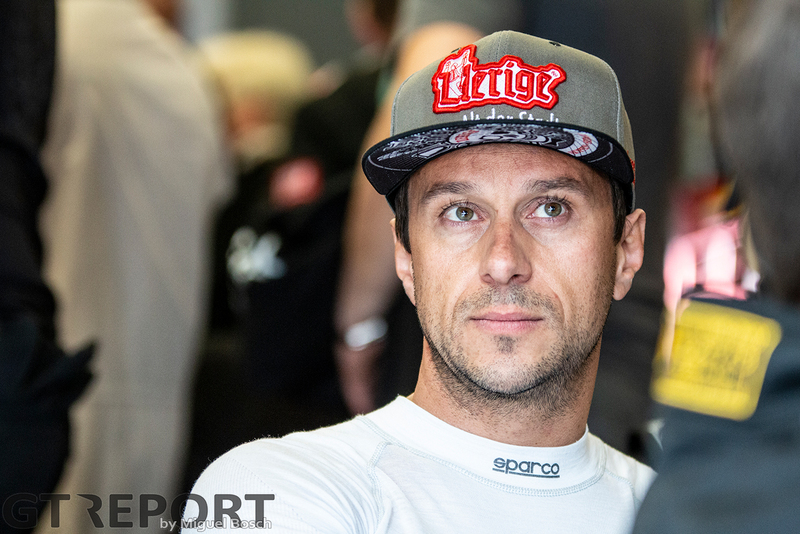 2018 saw Frikadelli Racing enter a full-Pro car with a rotating drivers line-up. Although the number 31 Porsche took victory twice, Müller missed out on the champagne as luck wasn’t on his side during his outings in the Pro car. 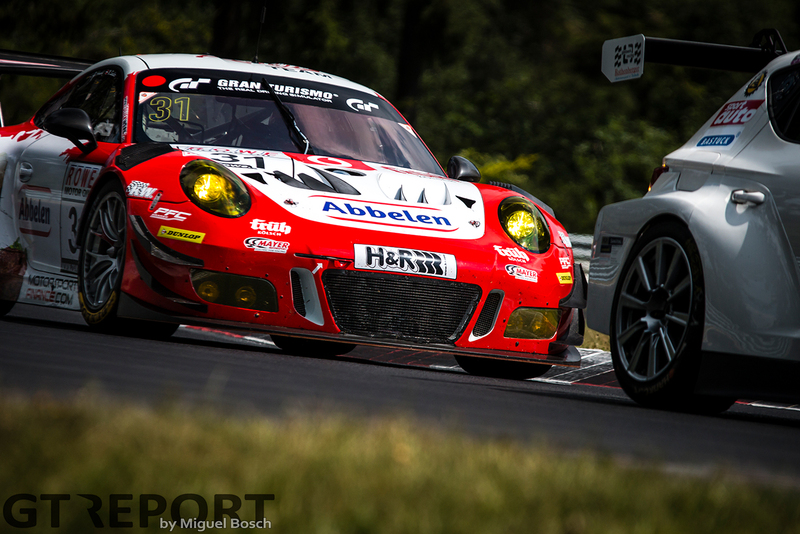 “Last year I ran some good qualifying sessions, but in the Pro-Am class with Klaus it was not possible to win. 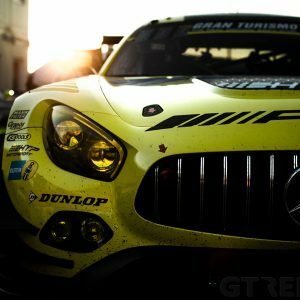 “It was a pity that I wasn’t able to win a race in the Pro car because we all had the same speed. It was just about being in the Pro car at the right race where the temperature was right for the Dunlop tyre to work. 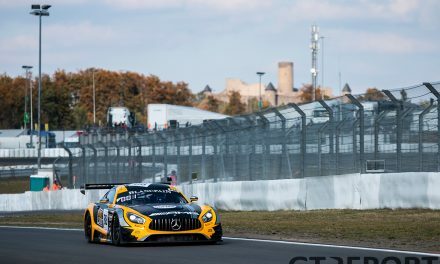 The laidback driver isn’t worried about team-owner Abbelen’s threat to leave VLN due to recent Balance of Performance engine power output squabbles either . Alongside Müller’s commitment to Frikadelli Racing, he will also get behind the wheel of two cars from his teenage years in the historic Group C Racing Series. “I’m also racing historical Group C with two Jaguars: an XJR-11 and an XJR-12 from the 1990s. Last year I did the Classic Le Mans and this year I do the Historic Group C, and next year the Classic Le Mans again. Ivan Vercoutere, the co-driver, and I have become friends, and it’s great to do the classic racing.